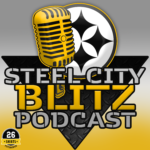 If the Pittsburgh Steelers don’t want to add a veteran as a third option, they could look to the draft to supplement. Running the wheels off of James Conner wouldn’t be wise, and Jaylen Samuels is inexperienced while still having issues in pass protection. A third down and change of pace back who can pass protect would be a smart acquisition. Travis Homer recently came to Pittsburgh for a pre-draft visit, does he check the boxes? Not a ton of tread on him. Very willing and able in pass protection, high effort, might be one of his calling cards. Physical back who doesn’t shy from lowering his shoulder. Light on his feet, can burst through an open gap quickly. A decisive runner who doesn’t second guess himself. A natural and reliable receiver out of the backfield. High effort runner who fights for every yard. Contact balance is a plus. Follows blocks in the open field well. A weave-back who uses his low gravity to zig and zag through traffic and blockers. If you’re looking for a prototypical third-down back, look no further. Homer is excellent in pass protection and is a reliable receiver who offers productive YAC. The Steelers have James Conner, who has had some issues staying healthy, and an inexperienced, yet surprisingly productive back in Jaylen Samuels. If the Steelers are smart, they would add another change of pace back who can catch, run and block into the mix. It would be wise to not run Conner into the ground and use Samuels as a change of pace back, while Homer can handle 3rd downs. Miami’s offense was tough to watch, but Homer’s ceiling is decently high if he can sure up his fumbling issue. 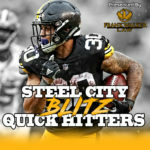 With such a deep running back class, I could see the Steelers waiting to get a running back as I believe Homer will be pushed back due to so many running backs to choose from.